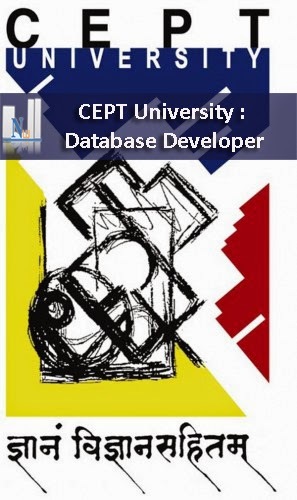 CEPT Archives invites applications for full-time position as Database Developer for Database Development and Management. We are looking for dynamic professionals who are self-motivated, and possess outstanding record management skills and can work on various aspects related to acquiring, building and preserving archival collections. CEPT Archives invites applications for full-time position as a Graphic Designer. We are looking for dynamic professionals who are self- motivated, and possess outstanding aesthetic sense, have a good knowledge of visual communications and can work on various aspects related to digitizing and disseminating archival collections. The person will be primarily responsible for heading the digitization lab and respective assistants. Major tasks include: editing and articulating variety of archival material, developing the new website, assisting the upcoming exhibitions and any other administrative requirements.